Have dark skin. Dark skin offers protection against sun cancer in hot climates, however, it decreases the body's ability to absorb Vitamin D. Darker skinned individuals need to get greater exposure to the sun to be able to absorb enough Vitamin D.
Are vegan: Yes, there are some vitamins vegans can be deficient in. Vitamin D is often added to fortified dairy products, and if you're not consuming them, you have less exposure to this nutrient. Have a vitamin absorption disease: Diseases like Crohn's, celiac, and cystic fibrosis can prevent the absorption of many nutrients. If you have one of theses diseases, you should have you physician check your Vitamin D levels. Are obese: Vitamin D is extracted from fat cells into the blood. If you have too much fat tissue, your blood levels of Vitamin D will be lower, as they become too concentrated and trapped in the cells. What's healthy? To find out if you're deficient in Vitamin D, get a blood test. Vitamin D is reported in nano grams per milliliter of blood. 20 nanograms/milliliter to 50 ng/mL is considered adequate for healthy people (source). If you're low, there are three course of action.Low levels got you down? 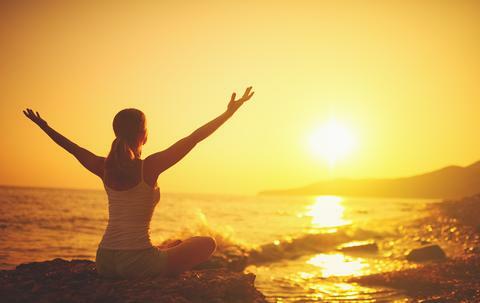 What should you do?1) Get out and enjoy some sunshine! Take the amount of time it takes for your skin to begin to get pink, and divide that in half. This is the amount you need to absorb enough Vitamin D, daily.2) Supplement: taking a supplement with at least 2000 IU (International units) of Vitamin D, daily is needed for many Americans (very deficient, need more until levels are maintained). Levels for children are usually low as well. They do well with a supplement containing 400 IU. Don't overdo it however. Too much isn't a good thing either.3) Eat foods high in Vitamin D: most source of Vitamin D come from fortified products. Vegan source are: fortified dairy-free milks, fortified orange juice, fortified tofu (check and see on label), and mushrooms! Mushrooms are one of the only natural sources of Vitamin D, made even better if they're exposed to sunlight. To do so, simply place your store bought mushrooms in sunlight for a few hours and they boost their Vitamin D content dramatically. 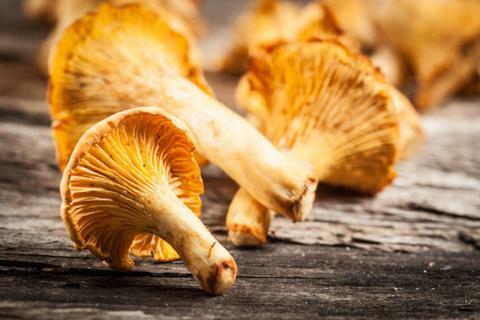 Chanterelles and morels, which are grown and harvested in the wild, had higher amounts of Vitamin D, as do , levels of vitamin D (206 IU/100 g and 212 IU) respectively. Maitake mushrooms also have high levels of Vitamin D. By exposing any mushroom to UV light for a few hours, dramatically increases their vitamin D levels (USDA).